So why is Sourdough bread healthier than ordinary bread? One of the most commonly asked questions I get asked is why can I digest Sourdough bread, but not ordinary commercial bread? There are many reasons, and the answer for each person is different. However research, often linked with IBS, indicates that the principal storage of phosphorus in seeds is found in the bran part of wheat and is called phytic acid can be a cause for digestive discomfort and bloating. In humans, and animals with one stomach, this phytic acid inhibits enzymes which are needed for the breakdown of proteins and starch in the stomach. It is this lack of enzymes which results in digestive difficulties. Ironically, commercially produced whole grain bread, generally perceived as “healthy,” is often the worst thing a person with a wheat intolerance should eat. Luckily we have an ally, sourdough. The wild yeast and lactobacillus in the leaven neutralise the phytic acid as the bread proves through the acidification of the dough. This prevents the effects of the phytic acid and makes the bread easier for us to digest. These phytic acid molecules bind with other minerals, such as calcium, magnesium, iron and zinc, which make these important nutrients unavailable to us. Long slow fermentation of wheat can reduce phytates by up to 90%. There is an interesting study that compares the effects of different leavens (yeast, sourdough, and a mixture of both) on phytic acid degradation which assessed the repercussions of phytic acid breakdown on phosphorus and magnesium solubility during bread-making, that showed Sourdough fermentation was much more efficient than yeast fermentation in reducing the phytate content in whole wheat bread (-62 and -38%, respectively). The lactic acid bacteria present in sourdough enhanced acidification, which lead to increased magnesium and phosphorus solubility. Simply put the phytase enzymes released by the yeasts as the dough acidifies effectively pre-digests the flour, which releases the micronutrients and in turn reduces bloating and digestive discomfort. Sourdough bread also takes longer to digest; studies have shown that rye flour added to sourdough can help regulate blood sugar levels which helps ward off diabetes. Sourdough is also a prebiotic, which helps to support the gut micobiome. It is one of the the subjects that we go into detail on in the sourdough for health courses. What are the ingredients in Sourdough? Just flour, water and salt – all the other unnatural ingredients that commercially produced bread include are eliminated. Cheap, industrially manufactured, Chorleywood processed bread relies on enzymes, preservatives, emulsifiers and improvers to bake bread at speed. These additives are also to blame for some people’s wheat intolerance. Is sourdough expensive to make? Is sourdough easy to make? Yes. It takes about 15 minutes spread over the course of 24 hours. Ironically sourdough has a reputation of being difficult, but it is just a matter of understanding how the dough behaves and what factors affect it. 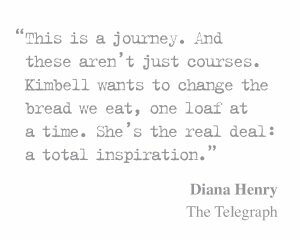 To find out more about Digestible Sourdough there is a limited Edition course. magnesium. J Agric Food Chem. 2001 May;49(5):2657-62. PubMed PMID: 11368651. Share the post "Why is it that I can digest sourdough bread and not commercial bread?" I’m curious… Have you ever run across a minimum % of sour dough inoculation into a dough as it relates to the sour doughs ability to break down the phytic acid? I’m working on a sour dough recipe … Trying to find that perfect spot where my bread is light, but chewy, but at the same time maintain the health benefits of the sourdough process. My current formulas have starter %s that range between 30-50% of starter into the final dough, but I’ve also seen some conversation about being able to bring the starter % down to 5-20%. I just made a loaf with 10% starter ( plus .53% of dry yeast) and fermented for 20 hours. It rose as well as the “control” loaf with 40% starter plus .53% dry yeast). They both look beautiful, but have yet to see crumb or taste the two. Any insight you might have into %’s of starter necessary to maintain health benefits would be greatly appreciated . Ps I typically do not add active yeast to my bread, but because I am testing longer fermentation periods ( up to 48hrs), I thought it might make sense . It is not necessary to measure the amount of starter, but the acidity of the dough that ferments over time. I’ve spoken to several very eminent scientists to ind the answer to this question, and read several studies and the indications are that the higher the acidification the more phytic acid is broken down. I’d personally suggest 36 hours, from start to finish would achieve a good result, but 48 is better. You could also add a tablespoon or to of your unrefreshed starter into the dough to increase acidification levels. Richard, I make this bread since 2 years. It is now very popular. I use my natural sourdough naturally fermented rye flour. My sourdough now is 4 years old, of course regularly refreshed. Because if it is older then the natural bacteria’s stronger. The bread is very tasty . I am in Mumbai, India and fully endorse your view on sourdough benefits. I have been baking sourdough bread at home for sometime and it really is no sweat despite the “heat”! The critical thing for me is the pre-ferment, which is made with 100% hydration overnight. Then in the morning once a blob of ferment floats in water I know I am on my way. I shape loaf and leave in fridge , well covered, for baking when I am back from work in the evening. I used the starter from bakerybits.co.uk ( gold rush). Mind you I am a consultant for forex matters in India, but a bread enthusiast! Bake your own bread!! I am Indian , but based in Netherlands now. I have been baking my sourdough breads for a while now, which I prepared only with whole wheat (110 type) and I am getting good at it. After few months we will go back to India permanently. I want to know if I could bake bread with the wheat flour available for Chapatis in India. Any hint will be very helpful. I have several student in India baking great sourdough. Please email me and I will put you in touch with them. Happy to help. What do you want to know? Does the fermentation process affect the gluten in flour, in any way?? Absolutely. The longer it is fermented the more it breaks down. More in my book, which will be out in September 2017. 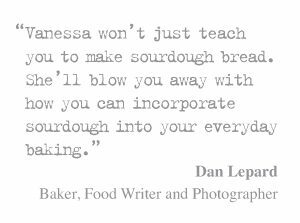 Dear Vanessa, I would love to eat bread again but I understand that flour turns to sugar in the blood stream. I am trying to avoid sugar. Does that occur with sourdough? Hi Rober.. you can email are and I will reply to you directly. 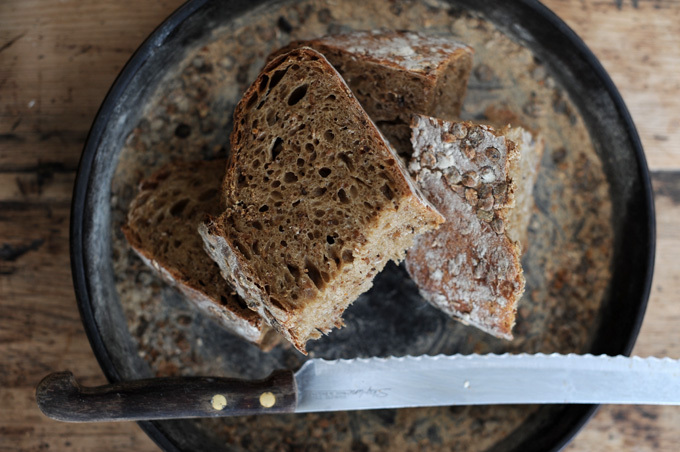 There are many ways you can slow down blood sugar response using sourdough … and wholemeal bread. I just found your site, I am happy to say. I so adore sourdough, but have found it expensive. Now I have intestinal issues due to 2 very serious illnesses, and then I just started having pancreatitis attacks, also. I have difficulty with so much that I eat, I now am really changing my eating for real, for my health. 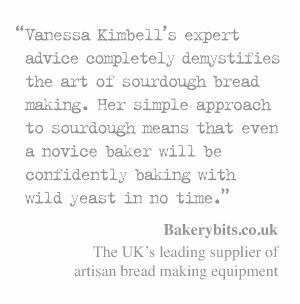 This is a good reason (and excuse-ha), to buy sourdough. You mentioned putting rye flour in. 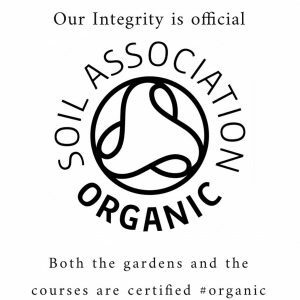 Do you know of any brands that DO have rye flour in it already? I might even try one of your classes and start making it myself – when I feel better. Thanks so much! Great article (read whilst enjoying sourdough olive bread from local bakery). We need to eat like our ancestors and avoid processed foods altogether. Can you reference this affirmation? This is a very important information and I wanna to learn more about it. I’ve been a sourdough self-taught entuthiast since 1.5 years ago… Me and my family just eat this kind of bread since then! 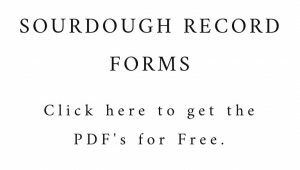 Am very interested also on receiving scientific references related to the benefits of sourdough. By the way…. We live in Mexico, I can tell, we, sourdough lovers, are all over the world! i would love that reference too! thankyou! And also the details of your book please? What is not is stock? Especially the testing on the gluten reduction in Sourdough bread and the health benefits. thank you so much. see the research on the menu for all studies. I have just begun my sourdough journey. I still have many questions like many of you. I guess my more common one is what to do if the dough falls before getting baked. It’s had a nice rise but I waited too long. All this talk about long rise times. No one has specifics about how cool to keep the dough so you don’t get a premature rise and then fall before baking. I’m beginning to think this is the big secret/challenge. It really depends on the flour, how sour you want the bread to be or the ambient temperature on the day you bake, how long you intend to ferment for and the quantity of the leaven you use. It is one of the things we try and teach people to understand on the courses here, but it takes a bit of explanation. I’m just learning & observing about eating healthier,especially as I’m a Bread lover…Unfortunately IBS has found me, therefore diet changes are required! All the abovementioned very informative regarding the bread preparation, I especially like Rye bread? Take a look at the latest FODMAP article. Rye needs a longer slower prove for IBS sufferers. In the study were the breads made with both types of yeast allowed ferment for the same amount of time? Informative article about bread chemistry and the evolution of commercial bread baking. I am sorry for the very late response to Manila’s question about bread flour in India. The answer is that the normal wheat/chapati flours in India just wont do the job. The gluten content is as low at 9-10%. However some organic/stone ground wheat is available, which is just about OK. Though still not great. I use a Komo Fidubus stone grinder for 30% of the wheat in the bread. This wheat is an old strain and organic. This helps in two ways. The gluten content is higher and the Amino acids are present due to the low heat produced due to grinding. This the natural yeast loves. However if one is able to use larger quantities one can buy from Swissbake , which supplies T 65/ T 45 and T 150 low ash, typical french flours. However they are pricey! Anyway if you look around, you are sure to find a way. Last but not the least you can buy “gluten” on line and add may be 1-2 % to the wheat for a boost to the spring! I’m obsessed too (http://www.carobcherub.com/why-love-sourdough/)! I now make everything sourdough whenever possible. And if not, I like to use my starter to soak/ferment other products, like cookies. And I don’t even use salt– just water and flour. Salt is supposed to control fermentation processes, but it’s not necessary. I don’t like the added sodium. Hi Sara! Would u mind telling me ur recipe? Can i do it in a bread machine aswell? To say that the salt is unnecessary beg the question what kind of salt do you use? Salt is very necessary, it is also healthy. Your body need salt., and you loose a lot in sweating, urine and so on. Without salt your bread will be flat, heavy, lacking taste. Let’s come to the point, you need to use real sea salt or Himalayan salt. None of that white dust which is deprived of any and all mineral, which you correctly so, call sodium. The response could be the way the cereals are grow, over with the low yield of past century, farming is done the industrial way, so here come the “John Deer and the Monsanto” Hybridization for hight return, improved crop, improved crop for whom? The minerals count goes zero, the starch goes through the roof, has if this was not enough come GMO crops and you wonder why you develop allergies, and are unable to digest the “Frankenstein food” ask the bees , they have been dying to tell you.